While preventive dental care is critical to your child’s permanent teeth, it is even more important you provide dental care for their baby teeth if they end up with a cavity. Baby teeth are important to the success of your child’s adult teeth. Decay, can spread and the damage it causes can last a lifetime. While you think that their baby teeth are going to fall out and the decay will be gone, this may simply not be the case. Decay, or dental disease, can spread. "Decay in baby teeth can reach far below the gum line and create problems with developing permanent teeth," states Pediatric dentist Dr. Cameron Fuller. Once the decay is below the gum line into the roots of your child’s tooth, your child may be in an extreme amount of pain, but often they do not have the words or understanding of what is causing their discomfort. This means your child could end up needing a pulpotomy or more serious dental procedure in order to get rid of the tooth decay. Baby teeth are the placeholder for adult teeth and set the tone for what is going to happen as their adult teeth move into the correct position. 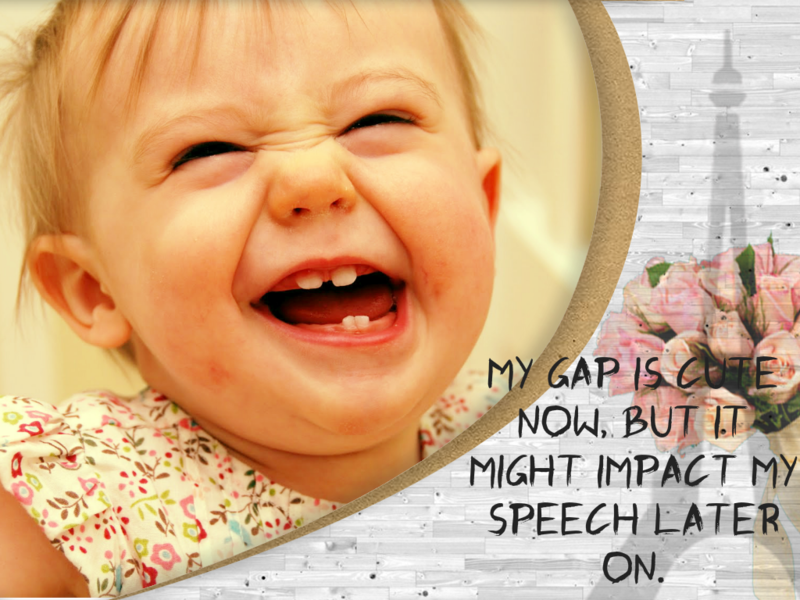 While a minor space may be an easy fix, a gap that is wider can increase their risk of future speech and language difficulties. "Another unfortunate result that can occur is a facial infection," suggests Dr. Fuller. Tooth decay or a cavity that is left untreated can spread to the inner pulp in the tooth, which is soft and contains blood vessels, nerves and tissues, that may become infected and create pus. The pus causes swelling in the mouth, and jawline and can be very painful. Once this occurs the only solution is to visit a dentist and have the infection cleaned out. Bottom line: early prompt handling of tooth decay in baby teeth means less pain, less cost and most importantly, a better long-term dental outcome for your child. It's hard to find sharp people on this topic, but you look like you know what you are talking about! Thanks. I've wondered for a while why pediatric dentistry is so important. My nephew goes regularly (every six months), so I figured there must be some kind of good reason, but I've always just thought their teeth fall out anyway so it can't be that important. I never considered that decay could spread like you talk about. Now I'll definitely encourage them to keep up their good oral health habits!